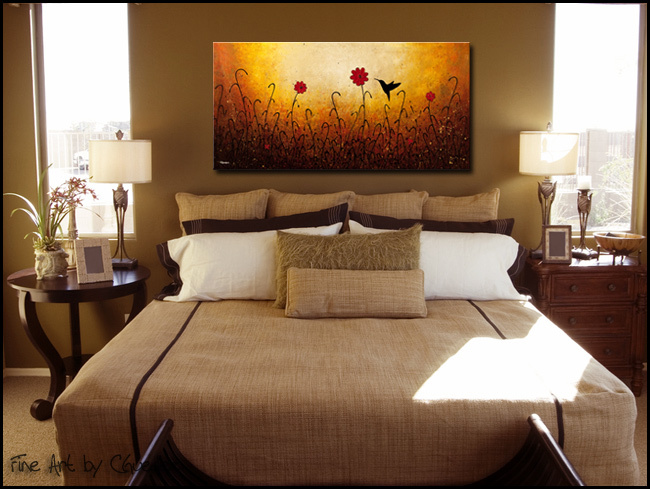 Infuse your home with beauty when you display this abstract art painting? 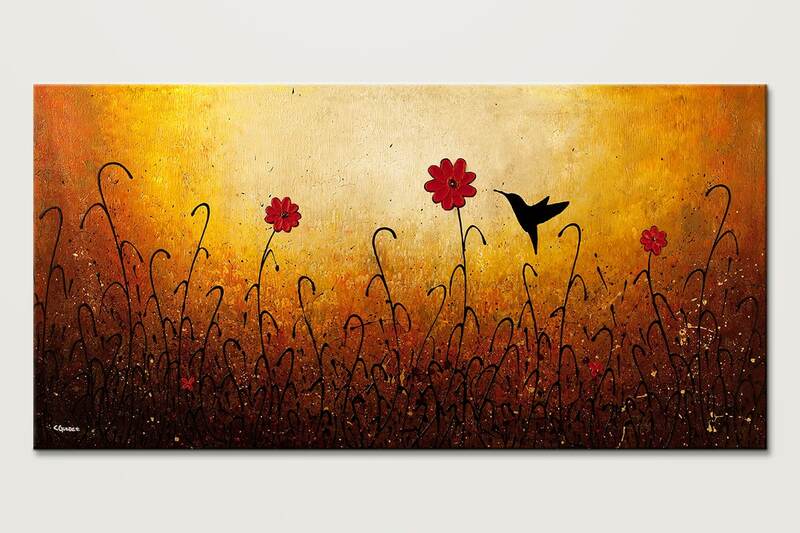 'Sweet Inspiration'. 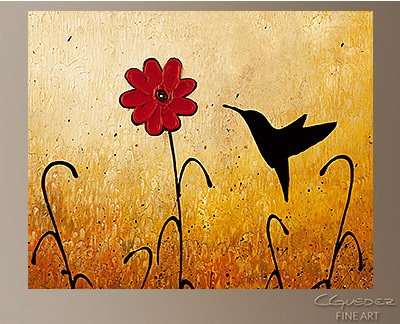 This large canvas art featuring red flowers and a subtle hummingbird adds an artistic flair to any d?cor.